Hello everyone! What have you been busy with lately? Crafting? Party Planning? Summer Vacation Planning? Whatever it is, I hope you are all in good spirits. Today, I am excited to share this unique Exploding Box Invitation I just finished designing. 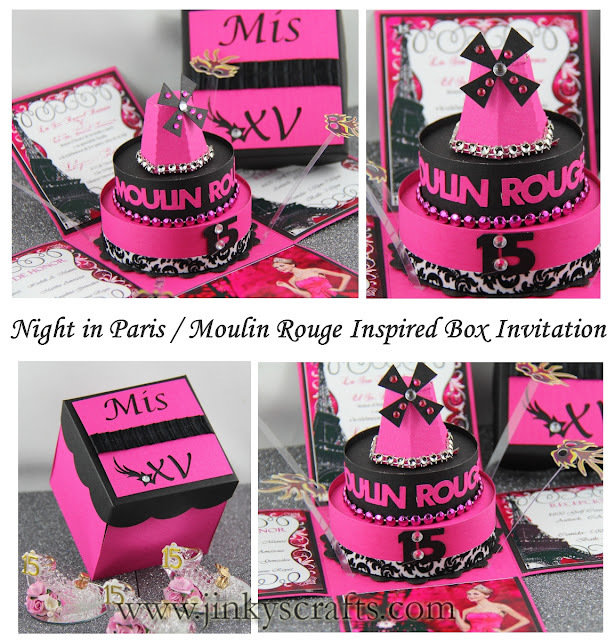 This Unique Quinceañera Invitation reflects A Night In Paris and Moulin Rouge theme. The guest will be receiving this Hot Pink and Black Magic Box; And when they opened it, a surprise inside the box will explode. 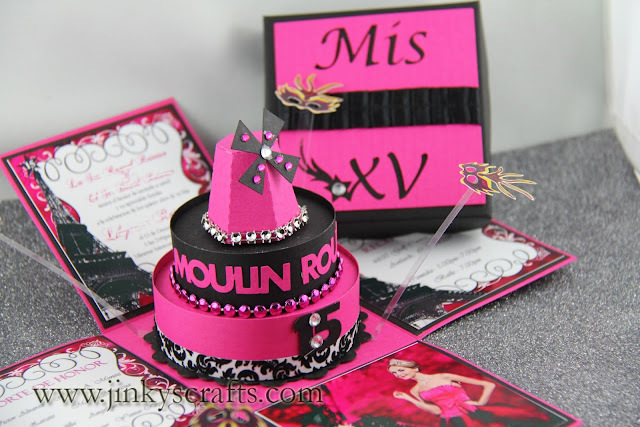 The 3-Tier Cake is Moulin Rouge Theme inspired. I like how the windmill mimics the Moulin Rouge in Paris Theater with a signature windmill on the front. 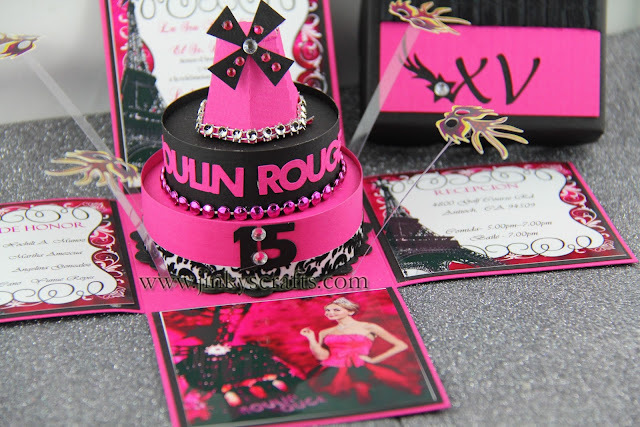 There's so much detail in this Stylish Quinceñera Invitation. Each panel has the Night in Paris custom graphics. The cake was surrounded with mask cut-out pop-up floaties. The size of this Exploding Box is 3.5 x 3.5 inches cube. It can also be used as a Recordatorios or Gift Favors. Or a Gift Box. These can also be used as Sweet Sixteen Invitations, Bat Mitzvah or as any themed party Invitation. I think your work is amazing I will b in touch for my own invites. ..